There is only one day before the GTA 5 release date, but for those, who can't wait anymore, we prepared an interesting set of fresh GTA 5 news - both official and not. If you want to see new GTA 5 screenshots, watch the latest video and get the cheats for the upcoming game, you are on the right page. 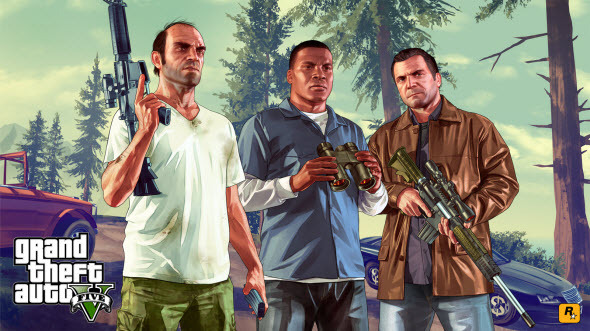 On Friday's evening the developers published the last bunch of GTA 5 activities. They revealed a short commercial video, which shows the tourist Los Santos, and told more about the accommodation you can rent or buy in the game. Thus, your characters can live in fashionable mansion, in a little house in the city or in a trailer. 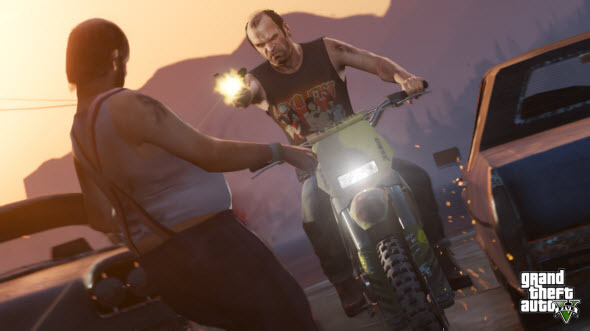 Also the developers revealed new details about the inhabitants of Los Santos and especially about celebrities. There will be a lot of "stars" in the game - aggressive, drunk, faded - and you will be able to communicate with all of them. Also you can take a tour and look at the best sights of the city. Among beautiful buildings and brilliant nature you will be able to find many conveniences and liquor stores opened round-the-clock. And on Friday the developers presented the GTA 5 Social Club that gives you lots of opportunities to make a great career in criminal Los Santos, get special weapons and other stuff, find in-game discounts and live a full life in GTA 5. For those, who want to upgrade the game's characters as quickly as possible, we would like to present the list of GTA 5 cheats. Most of them were taken from the previous instalments, but in the new game they work in other ways. In special subreddit you can find the GTA 5 cheats for Xbox 360, and the codes for PS3 are shown in the comments. The list on Reddit is not full, but it will be expanded as the new cheats are figured out. If you have other cheat codes, please, share them in the comments below. By the way, many gamers have already got their version of GTA 5, because Amazon have shipped several items earlier, and so some gamers are already tried all these GTA 5 cheats. And of course our GTA 5 news is not full without new screenshots. Rockstar revealed some of them on Friday, and also we have several non-official ones. The full list of new GTA 5 screenshots is in our Facebook community, and here you can see several the most exciting pictures.